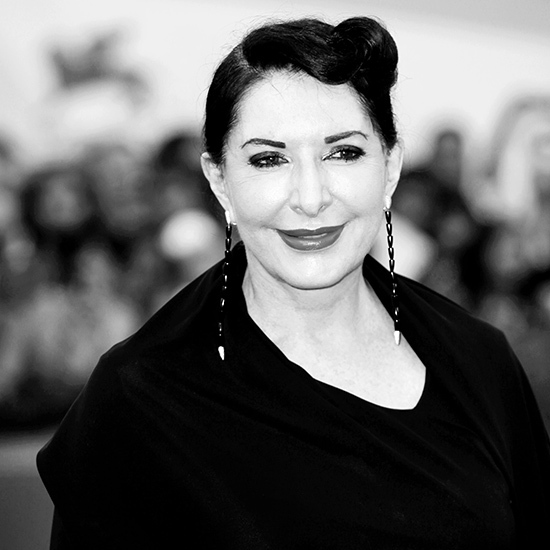 Marina Abramović is an artist of extremes, whether fasting in São Paulo or devouring boxes of chocolate after performances. Here, she shares some food-related memories. People are so lonely, everywhere. Yet solitude can be happy. For the Bernardaud china I designed this year, I wanted to explore the pure pleasure of eating alone by creating a set for one person. Bernardaud said yes to my idea, knowing it could be a disaster. Because who buys a set of china for one? But the company is getting lots of orders, especially from Japan. For “The Artist Is Present” at MoMA [a 2010 performance during which she sat silently all day for 75 days], I prepared for one year, as if I were going to a space station. I didn’t eat lunch, so my body knew not to expect it. When I perform I am vegetarian. I work with Dr. Linda Lancaster, a naturopathic physician and nutrition expert in Santa Fe, New Mexico. We’re writing a book documenting what I eat during performances. The moment I finish a performance, my friends always give me chocolate. I go to specific places for specific dishes. Like the marrow bones and the suckling pig at The NoMad in New York City—they are masterpieces. I come from ex-Yugoslavia. Drinking Turkish coffee was such a ritual. My grandmother would buy the green beans and roast them, so the smell would stick in the air. Then she would use the grounds to tell our destiny. I can’t stand the Italian way, standing to drink espresso and then off you go. That’s not the way we do it! I recently did a workshop in São Paulo with 25 young artists. For five days we ingested only water and herbal tea. After that, everything you put in your mouth, even boiled rice, tastes divine. We are all so overly consumed by food that we lose the ability to taste.